"War" - "Trying Times" - "Fire"
and to which he must go alone. At five in the afternoon. It was exactly five in the afternoon. And the bull alone with a high heart! Exactly at five o'clock in the afternoon. Ah, that fatal five in the afternoon! It was five by all the clocks! It was five in the shade of the afternoon! I will not see it! of Ignacio on the sand. with willows in the barreras. sated with treading the earth. I do not want to see it! with all his death on his shoulders. but the dawn was no more. and the dream bewilders him. and encountered his opened blood. Who shouts that I should come near! Do not ask me to see it! What a great torero in the ring! What a good peasant in the sierra! How gentle with the sheaves! How hard with the spurs! How tender with the dew! But now he sleeps without end. the flower of his skull. close to the starry Guadalquivir. Oh, white wall of Spain! Oh, black bull of sorrow! Oh, hard blood of Ignacio! Oh, nightingale of his veins! no glass can cover it with silver. 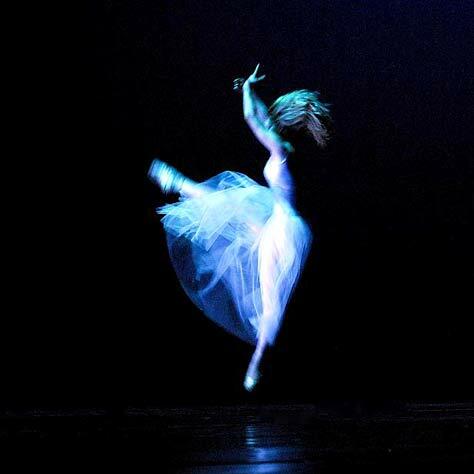 "Serenade for String, Opus 48"
The dance community braved icy rains and forecasts of snow to see a remarkable Spring Concert presented by the UMKC Conservatory of Dance students, at 7:30 PM, on Friday and Saturday, April 13th and 14th, in White Recital Hall. Among the members of the large audience were many from the KC Ballet community to see the challenging program. The dancers were very excited about the high profile pieces they were presenting, and were very positive about each other's performances. Christopher Page, a dance major appearing in the second piece said about his peers in the concert, "The performances were amazing... the kids were really on their legs... everything really came together." The concert opened with "Unplugged", an unconventional, face-paced modern ballet piece choreographed by Paula Weber, and music by Kenji Bunch. Dressed in jazzy short skirts and shorts, dancers performed angular movements to driving music, pushing the envelope on what most people picture as ballet into an innovative and contemporary realm. Next up was a politically-themed suite choreographed by Sabrina Madison-Cannon to rock and blues standards, Edwin Starr's "War! ", "Tryin' Times", and Jimi Hendrix's "Fire!". This suite was a hit with the audience as it ranged from dancers in cammies doing martial arts moves, into bluesy angst dealing with death and loss, to psychedelic dancing reminiscent of the late 1960s protest era. Madison-Cannon has a knack of making dance very relevant as a medium for political speech, which is also approachable, engaging, and entertaining, even for audiences unfamiliar with dance. The cast was relatively large at 20 dancers, because the faculty want to include as many dancers as possible so that they might have performance experience. "The students work very hard... and they deserve an opportunity to demonstrate what they have learned," said Madison-Cannon. "It also gives them the opportunity to gain more stage experience which ultimately makes them better, more seasoned dancers when they graduate." Next came a moving piece, "Absentia", choreographed by Kansas City Ballet's own ballet master, James Jordan, and performed to original music composed for oboe, viola, and cello by William J. Lackey. 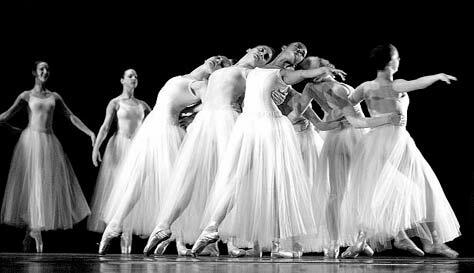 The musicians performed live on stage as the six ballet dancers performed around them. This original piece is dedicated to the memory of Jordan's friend and mentor, Todd Bolender, who had recruited Jordan for the Kansas City Ballet. To Jordan, this piece represents the loss of Bolender, and the absence of his presence and influence. "The project has been a wonderful process," said Jordan. "When I met the composer at a Young Audiences fund-raiser last May, we hit it off, and we collaborated over the summer.... then we worked with the dancers weekly since mid-January... I am very pleased with how it turned out." 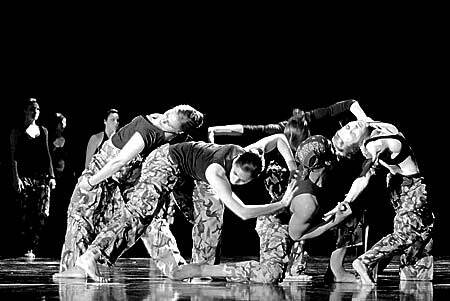 The last piece in the first half was "29 People" choreographed by Jennifer Medina to "Exurgency" by Zoe Keating. The dance was a phenomenological piece that featured a large cast of 29, which is where the piece gets its name. 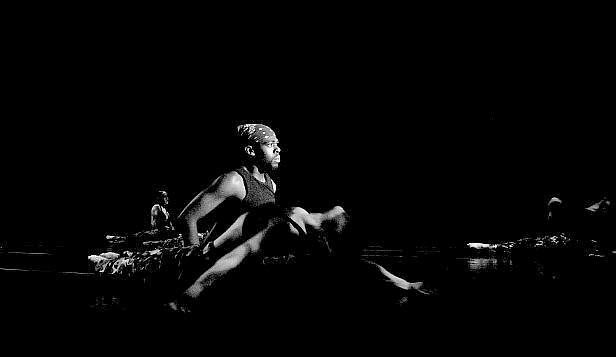 The choreography reflects the experiences the dancers had when trying to coordinate choreography for this number of people. "What I ended up with was 29 people, so that is what I called the piece," said Medina blithely. "We wanted the students who came regularly to feel they were participating in, and important to, the piece.... So, all 29 dancers are onstage throughout the eight minute piece." The piece represents the phenomenological experience of the creation of the choreography, as it was happening, for both for the choreographer and the dancers. "We are all individuals and yet we are all part of a community, a collective, as well... I tried to represent that experience in the choreography," explained Medina. 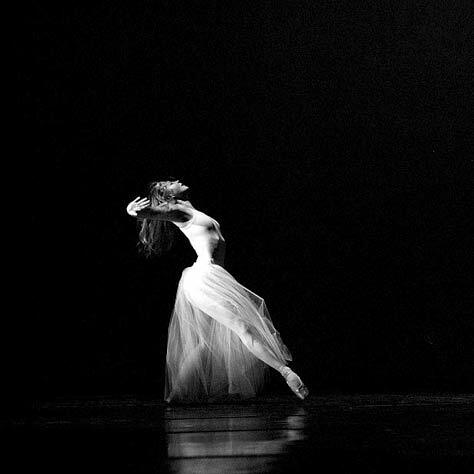 "At times it is like the 29 dancers represent 29 different phrases in the music through dance.... We are all searching for the meaning of life in our own way, yet relate to each other at the same time... I told the students to take a moment to take a breathe, to take stock of themselves... and the dance also reflects that meditative moment." "With that many people, it was really quite challenging to put together," Medina added. "But the students worked hard and we really managed to pull it together." After intermission, the concert presented two master works that were brought in for students to learn as an enriching, professional-level experience. 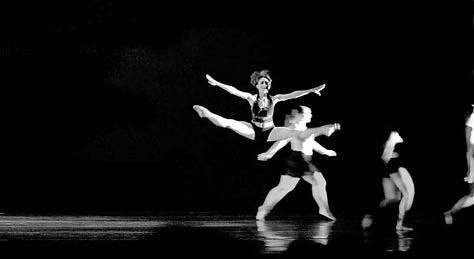 In order to be able to perform these works, the students have to demonstrate a level of dance competence in order to execute the choreography. Thus, it is a great honor to have permission to perform these works. 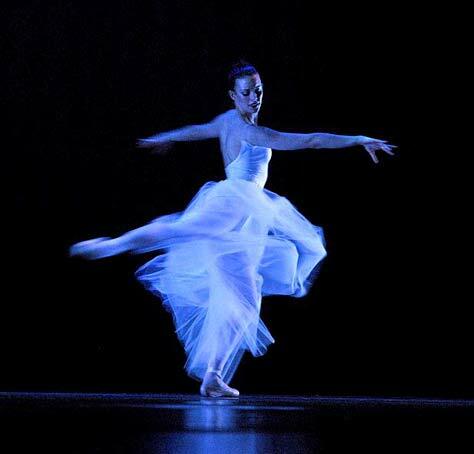 Although an obvious product of its time, the first piece, "Lament for Ignacio Sanchez Mejias", was performed with great seriousness by the dancers. Based on a translated poem of the same name by famed Spanish author Federico Garcia Lorca, the dance drama portrays a bullfighter meeting his destiny of being killed in the arena which is projected as a metaphor for the inexorable struggle each of us has in facing our own mortality and death. Presented in the style of a Greek tragedy, this innovative piece blends music, drama, and spoken poetry in classical style. This work is a standard in the dance world as a masterpiece choreographed by modern dance icon, Doris Humphrey, and staged for the Conservatory by Minos Nicolas, in order that it could be notated by UMKC faculty member Billie Mahoney. 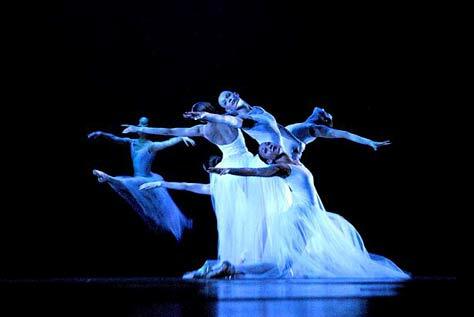 The last piece was the George Balanchine ballet, "Serenade", done to the music of Peter Ilyich Tchaikovsky, and staged by Repetiteur for The George Balanchine Trust, Jerri Kumery. Ms. Kumery made a number of trips to Kansas City to work with the students directly, and then to view the performances on behalf of the George Balanchine Trust. 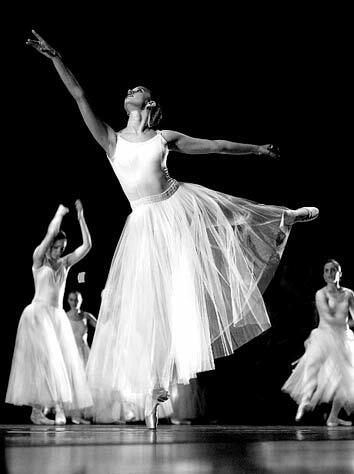 A small segment of the ballet was presented in a previous concert, but this performance was the first time the dancers presented the ballet in its entirety. The ballet was well received by the audience, receiving a standing ovation and a host of commentary from the ballet community. 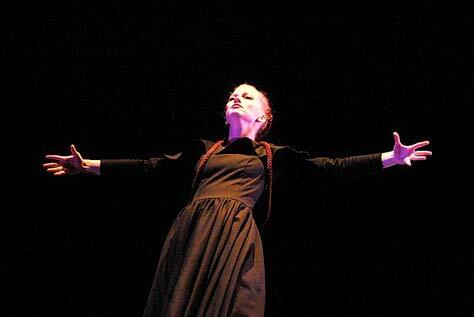 Ms. Shirley Weaver, long-time Conservatory ballet faculty, commented, "It was a good performance... I was very pleased." "They have really grown over the last year or so.... you would not know they were students," commented Westport Ballet founder, Elizabeth Hard. "It was a wonderful show... it was a challenging show but they managed... and the faculty did not water it down for them and the students were up to it." Chris Barksdale, a lead dancer in the Kansas City Ballet company, commented, "Because I have performed in this ballet professionally myself three times, I am very picky... but I must say that I liked it... I liked what the students did with it." These last two performances were part of the "Great Works Project", and made possible by the generosity of the Nottberg Foundation. 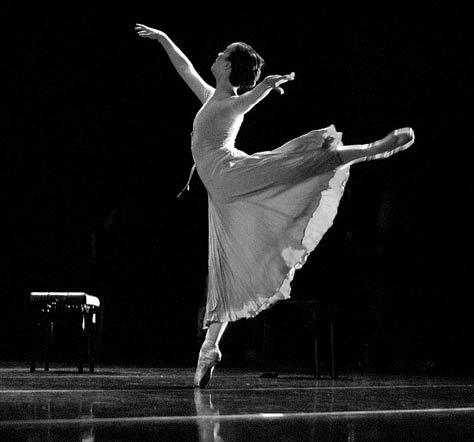 They are both considered master works that any professional dancer would be privileged to be part of and are impressive works to add to their vita. Perhaps the greatest compliment came from Randall Pembrook, Dean of the Conservatory of Music and Dance. "What I couldn't help but think was what an amazing challenge the program was and how satisfying it was to watch the results," said Pembrook. "This program tonight moved the whole dance department forward... they took on a challenge that was monumental and pulled it off... I could not be more pleased... it took my breath away." Held every April with staff and visiting choreography. A showcase for the year. Note: as of spring 2011 Robert Battle took over as Artistic Director of Alvin Ailey from the retiring Judith Jamison. These are held in the winter semester and the graduating seniors begin signups and rehearsals early in the fall semester. This is one of their last graded works. 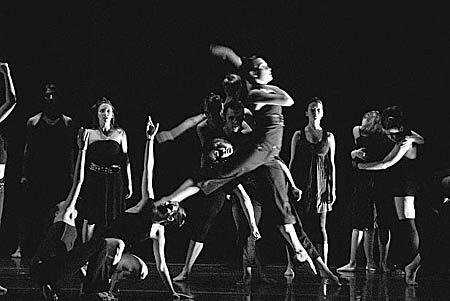 Each senior choreographs and directs a group piece and performs in a solo which may be self-choreography or another's and may also be a duet if there is a large enough mix of solo to duet. There are a number of recital concerts, depending on the total number of seniors. Generally the mid-week concerts have in-town seniors while those with families out of town are scheduled for Saturdays so relatives can attend. Non-UMKC events which have UMKC dancers, staff or visiting artists. Don McKayle talk 24 Jan 2008 at Public Library, KCMO about Kansas City Ballet piece he was commisioned to create. UMKC guys in Romeo and Juliet at Kansas City Ballet Spring 2008 backstage in costumes. Wylliams/Henry Sept 2006 and "Games ," choreography Donald McKayle. 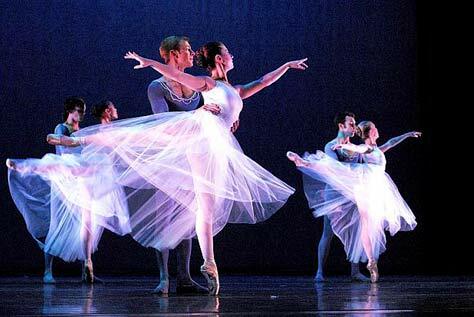 For some of the least expensive, good dance entertainment in Kansas City the University of Missouri Kansas City's Conservatory of Dance and Music's Dance Division offers some of the best young adult dancers in the area. 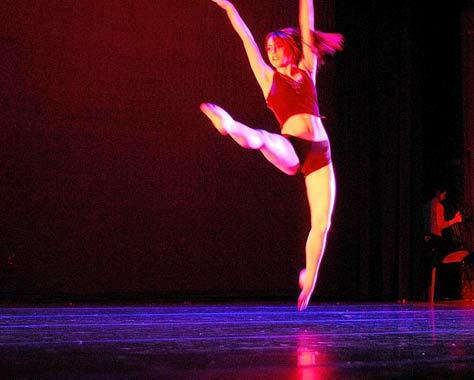 UMKC's Dance Division is among the top dance schools in the country. Those of us who live in this area often miss that distinction but people elsewhere know (isn't it always so? ).